I had the idea of doing a colt starting video series for years but the timing never worked. It was a huge time commitment requiring set up and tear down of camera equipment, synchronizing several peoples schedules and filming in all kinds of weather conditions…and that was just on the filming side. For every hour spent in the barn preparing, filming and tearing down there were 4-5 hours spent in editing and producing the videos. I am happy to say that in the end it was all worth it, although there were times in the moment when I wanted to quit. The reason I wanted to do it was easy to define: to show people the normal pace and steps of my training. 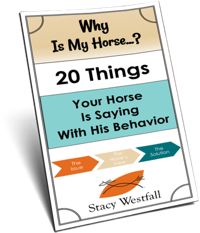 It was important to me for people to see the ‘whole picture’ because I knew that it would help people understand the stage they were at with their horse. 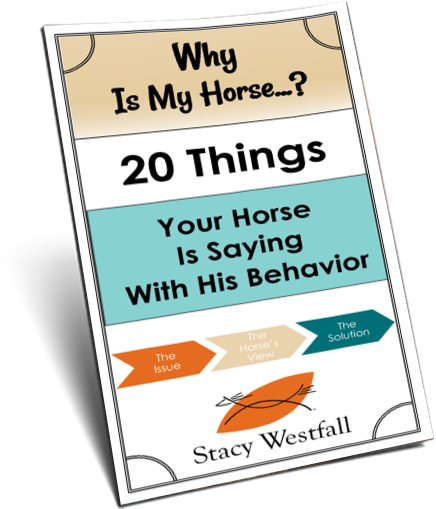 I truly believe that educating people so they understand horses is the best way to improve the lives of both horses and humans. I am also thankful to Weaver Leather for coming along with me on this journey. They went out on a limb with this crazy-never-been-done-before idea of mine despite the fact that I couldn’t answer many of their questions. How long will it last? What will you cover? How many episodes will there be? As a true horse person the only answer I could give was ‘the horse will tell us’….and still they came on board with their sponsorship which made the project possible. I especially want to thank all of you who faithfully watched and interacted with both myself and Weaver Leather on social media. Your encouragement and questions kept the project alive and inspired me by letting me know that I had reached my goal. ← New Mexico – here we are! Did you film him? Did you ride him? Were they happy to see you? (the new owner). Jac is famous & has a loyal following. Will they satisify our need to know what Jac is doing? Yep, I did the filming-unless I was in it and then that was Jesse filming. I didn’t ride him, I didn’t ask to or feel the need to, it was enough to visit with him and watch him play. It was nice getting a tour of where he lives. The owners are very open and have agreed to keep me supplied with photos and extended an open invite for me to visit when traveling through. I am also going to try to follow him to some shows later this year and if the shows have live feeds (many do) I will share those links too! Thanks for the update. He looks gorgeous! Weaver Leather was bang on when they chose you for this series. They make great products, and it’s great that the had the foresight to partner with you in this project. Thank-you for all you have done! “What comes easy won’t last, what lasts won’t come easy”. Your video series of Jac will stay in my heart and sole for ever. Your hard work was truly worth the effort. I’m so glad you didn’t start a video series earlier, because we may have mist-out on the very special “Jac”. Jac was the “chosen one” for good reason. I’m a better person from the education, thank you so much for making it possible, Stacy, Jesse, Greg, Weaver Leather and of course the super star “Jac”. did you get to ride him Stacy? Thank you Stacy for putting together the series on Jac. I love the way you train. You can tell Weaver leather I have started buying their products. I hadn’t used them before but now that I have tried them I find they have very high quality products. I love my Weaver Leather halter and cinch. I never bought a Weaver leather product before, but have since I started watching the Jac series. It”s an easy way to pay back a little for the help you and Weaver gave us all, in allowing us into your life Thank you! Thank you for sharing your knowledge with us. The Jac series has been a great help to me as it has answered so many of my questions. My two young horses have benefitted from what I have learnt from you and we are all so much happier. My example demonstrates the achievement of your goal. Sincere thanks. How long do you think a horse remembers a person? He is so gorgeous and handsome!!! So glad you got to visit him again, and thank you so much for the entire Jac series, they were so helpful. I watched them all and loved them, and it’s been amazing seeing him throughout the journey, from a scruffy little colt to a magnificent big boy now! He’s so beautiful. It’s such a shame that they gelded him. Stacy it’s an honor to watch your videos and learn from them. I really would like to meet you and I hope that would be next year 2015. I’m planing to go to Canada to Glenn’s Stewart farm to do the summer course. Best wish and a really nice year to come with more new projets. Thank you Stacy for showing us all the training of Jac, it was very informative for us Novice beginners of training. I was wondering what there plans are for Jac. Will they continue having him trained and shown and why didn’t they leave him with you?